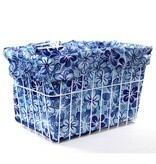 This awesome Blue Hawaiian Bicycle basket liner is the ultimate cruiser bike accessory. 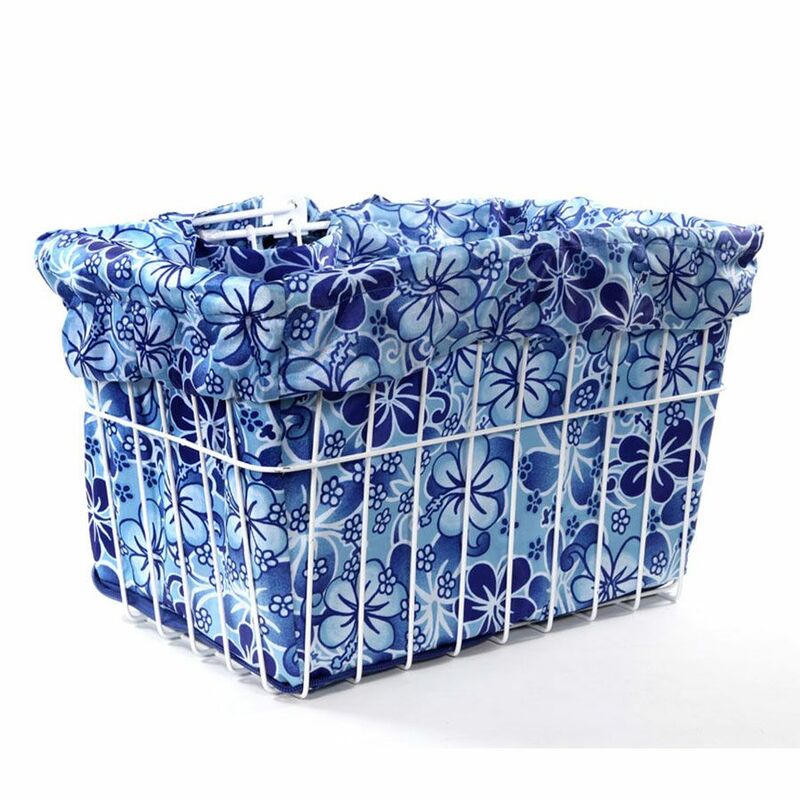 This original bike basket liner is all weather friendly, reversible and crafted in nylon rip-stop material with durable sturdy draw straps to convert easily into a generously sized market bag, gym bag, yoga bag, beach bag, tote bag! Featuring two deep pockets (water bottle size) Also folds up easily into a compatible zippered pouch. Easy to take in and out of bike basket. Designed in Huntington Beach, California. Fits all standard wire and wicker baskets. Water resistant, fade resistant. Converts easily into versatile, stylish, adorable everything BAG! 10 x 10 x 15 Basket not Included.